How Does CA$HOUT Ransomware Infiltrate the System? The limited number of CA$HOUT Ransomware samples does not indicate the main infection strategy. We suspect that the hackers are going to use the most methods to spread the virus. One of them involves the use of spam email messages. The hackers use templates that resemble real companies or government institutions. The virus payload is either attached directly to the emails or linked in the body contents. The discovered samples so far show that CA$HOUT virus is delivered in a single binary file. This makes it very easy for criminals to host it on hacker-controlled sites or malicious ad networks. Infected software installers and office documents are another spread possibility. Direct hacker attacks can also be considered in a future campaign. CA$HOUT Ransomware is a newly discovered computer virus of unknown origin that encrypts valuable data, it can be removed by reading our removal guide. In an ongoing attack wave security researchers detected a new signature belonging to an unknown computer virus. The CA$HOUT Ransomware has been identified as a new threat that does not contain any code from the famous malware families. This means that it is an independent creation of its developers. 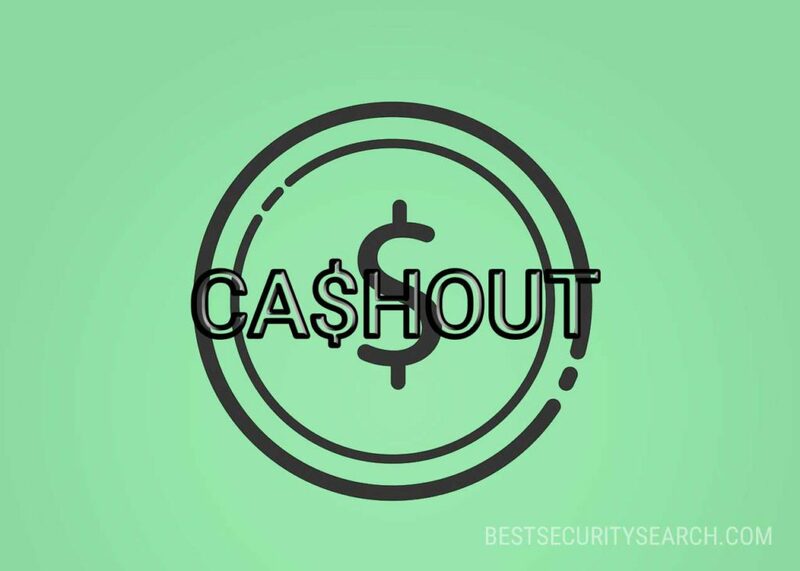 The identity of the criminals behind the CA$HOUT virus is still not known and the security researchers are not sure if it is being operated by a single individual or a hacker collective. At the moment the captured malware samples of the CA$HOUT Ransomware do not appear to be final. The computer virus at the moment only contains the encryption module that is programmed to follow the usual behavior – valuable system and user files are encrypted and a ransomware extension is used to mark the affected data. At the moment the CA$HOUT ransomware does not appear to use one. We suspect that future versions of it are going to employ one. From the shown information we see that the hackers extort the victims for the sum of 100 US Dollars. The collected samples so far do not show the possible payments method (nor do they work), however we suspect that the criminals are going to use digital currencies (such as Bitcoin) as they remain anonymous and secure. We expect future versions of CA$HOUT Ransomware to include a working encryption engine and other modules. WARNING! Manual removal of CA$HOUT Ransomware requires being familiar with system files and registries. Removing important data accidentally can lead to permanent system damage. If you don’t feel comfortable with manual instructions, download a powerful anti-malware tool that will scan your system for malware and clean it safely for you. WARNING! All files and objects associated with CA$HOUT Ransomware should be removed from the infected PC before any data recovery attempts. Otherwise the virus may encrypt restored files. Furthermore, a backup of all encrypted files stored on external media is highly recommendable.